Exercise guidelines for open-loop insulin delivery suggest performing a basal rate reduction at least 60 to 90 minutes before exercising. A 50% to 80% basal rate reduction performed 90 minutes before beginning exercise will improve open-loop glucose control and decrease the risk for hypoglycemia during exercise in individuals with type 1 diabetes, according to results of a study published in Diabetes Care. Common strategies for reducing hypoglycemia risk in active individuals with type 1 diabetes include increasing carbohydrate intake before or during exercise and/or performing a basal rate reduction before beginning the exercise regimen. Exercise guidelines for open-loop insulin delivery also suggest performing a basal rate reduction at least 60 to 90 minutes before exercising, although there has been limited evidence to substantiate these recommendations. In the current study, researchers sought to determine the best strategy for basal rate reductions to attenuate hypoglycemia in a cohort of 17 individuals (mean age, 31 ± 10 years) with type 1 diabetes using continuous subcutaneous insulin infusion. 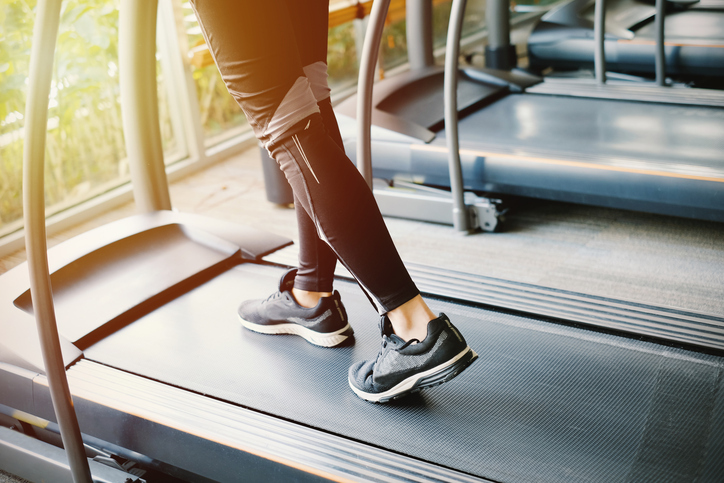 In a randomized crossover design study, participants completed three 60-minute treadmill exercises (at ∼50% peak oxygen consumption). Insulin strategies in the study included pump suspension at the start of exercise, 80% basal rate reduction set 90 minutes before exercise, and 50% basal rate reduction also set at 90 minutes before exercise. At the onset of exercise, blood glucose levels were higher with 50% basal rate reduction (191 ± 49 mg/dL) compared with 80% basal rate reduction (164 ± 41 mg/dL; P <.001) and pump suspension (164 ± 45 mg/dL; P <.001). At the completion of exercise, the smallest decrease in glycemia was observed with 80% basal rate reduction (-31 ± 58 mg/dL) vs 50% basal rate reduction (-47 ± 50 mg/dL; P =.04) and pump suspension (-67 ± 41 mg/dL; P <.001). There were 7 hypoglycemic events with pump suspension compared with 1 event in both 80% and 50% basal rate reductions (P <.02). After a standard meal after exercise, glucose levels increased with pump suspension and 50% basal rate reduction (both P <.001), but not with 80% basal rate reduction (P =.16). The overnight mean percentage time spent in euglycemia was 83%, 83%, and 78%, and time in hypoglycemia was 2%, 1%, and 5% for 80% basal rate reduction, 50% basal rate reduction, and pump suspension, respectively, based on interstitial glucose (all P >.05). “These findings support recent guidelines that preplanned [basal rate reduction] well in advance of prolonged exercise is an effective strategy to reduce hypoglycemia risk and minimize the need for carbohydrate feeding during the activity,” the researchers concluded.